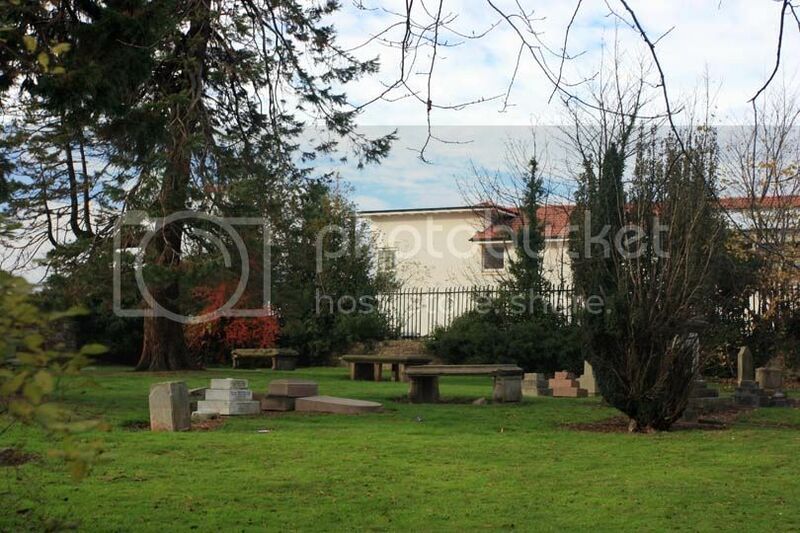 This cemetery is situated on the corner of Greendykes Road and Niddrie House Drive. 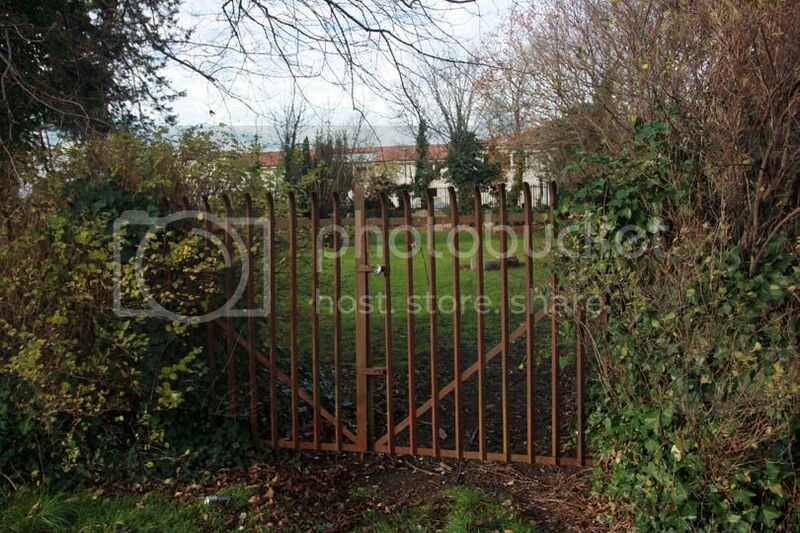 There is a sign saying it is owned by Edinburgh Council but the gates are closed and padlocked. Looking from a location opposite the entrance gate there is no visible sign of a CWGC stone in the central area as described on the CWGC site, but the cemetery does seem to be well maintained. Name, etc. of person interred here is below photos. I can't find it on the CWGC list of Cemeteries unless it's known to them by a different name? Or it might be case that I'm just not seeing it? The stone might not be in the style of a 'traditional' one - it could be one of any shape or form erected by the family. This cemetery was listed on our site and all I did was go to the CWGC site and enter "Niddrie". This search brings up Niddrie Marischal Burial ground and 1 CWGC stone. Oh, sorry! I misunderstood what you said - I thought you had found it within the list of cemeteries on the CWGC site and I was being a bit dim and couldn't see it! I did as you did, just entered 'Niddrie' and up it came! Strange that it's not included in the list of cemeteries though. I have no idea why the details aren't available - possibly because it was a private burial ground? At some point the City of Edinburgh Council have taken over the maintenance of this cemetery. NIDDRIE MARISCHALL BURIAL GROUND is a very old privately owned graveyard in the policies of Niddrie House, Liberton, on the road from Craigmillar to Musselburgh. About the middle of the burial ground, there is one 1914-1918 War grave. I've sent an e-mail to Iain Anderson, CWGC's Regional Supervisor to ask if he can shed any light on the situation and asking if he can tell me who is buried there, so if and when he gets back to me, I'll post an update. Mystery solved! Iain replied this morning. Grave Reference: Buried in centre of burial ground. Marion Forrest Hunter wife of the aboveThomas Mylne Skirving who died 6th January 1928"
Mortonhall crematorium hold keys to the gate which allows access. Iain Anderson, CWGC Regional Supervisor has very kindly allowed me to reproduce his photos of T. M. Skirving's stone. I'm sorry, but I don't see where there is any mystery here. The CWGC site lists the cemetery, the location of where a stone should be and gives name, rank, service number, regiment and date of death - all of which were entered on my first message about this burial ground. Maybe, as you said earlier, you have not read what I sent properly. It looks as though Lance Sergeant (1465 & 120215) Thomas Mylne Skirving, 1/1st Lothian and Borders Horse Yeomanry served in Salonika with either "A" or "D" Squadrons. Disease, including various fevers, was widespread - causing more casualties than action. His death was registered at Linlithgow, West Lothian. Did the Military family - WAUCHOPE not own the house and lands around this location at one time and not in the not so long ago past . ( Major General A G wauchope being one of the family ? The Wauchope family owned the majority of the area up to the 1930s. The family home Niddrie Marischal House was immediately west of the present day Jack Kane Centre sports complex in Hunters Hall Park. The Wauchopes eventually donated their lands to the city. A small correction to what Ken has added about the Wauchope Estate. The Estate was sold to the then Edinburgh Corporation in 1944 for £8,000. I have added a link below for the Wauchope Family and one for the Wauchope Mausoleum. The mausoleum link details conservation plans that the City of Edinburgh Council prepared in 2010. There is a very small mention of the Niddrie Marischall burial ground in these plans.